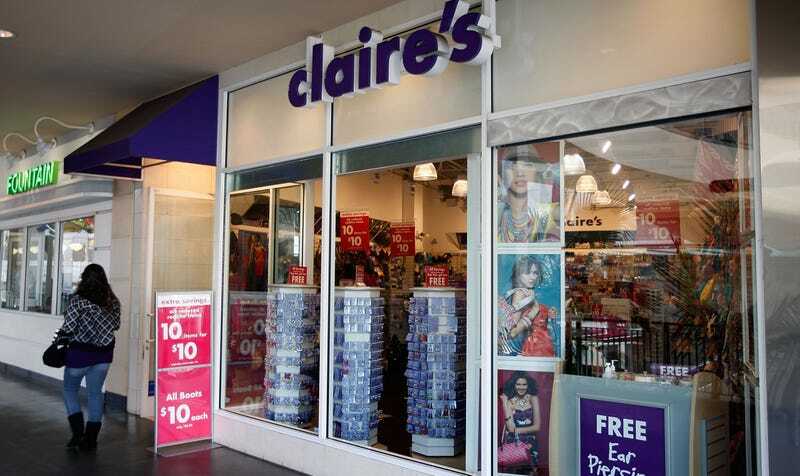 Claire’s, a one-stop shop for tween cosmetics, free-with-purchase ear-piercings, and scrunchies covered in what looks to be human hair but is in fact “faux,” recalled some of its makeup products after reports found samples contained asbestos, exposure to which can cause cancer. WPRI first reported the story—which wasn’t picked up by national news outlets until Thursday—on December 22. The recall was reportedly prompted by a test issued by Rhode Island resident Kristiana Warner, who both works at a law firm that specializes in asbestos litigation, and has a six-year-old daughter who enjoys playing dress-up with Claire’s makeup kits. Warner decided to have her daughter’s makeup examined and, according to a report from the Scientific Analytical Institute in Greensboro, North Carolina, which Warner showed to WPRI, her daughter’s glitter makeup kit tested positive for asbestos. “I remember literally sinking to the ground just being like, ‘oh my gosh!’” Warner told WPRI. After that breakthrough, 17 samples of makeup sold at Claire’s locations in nine states were tested for asbestos, and all of them, according to a letter from the Scientific Analytical Institute “tested positive at alarming rates.” These included samples from eye shadows, blushes, and compact powders. “We work closely with our vendors to ensure our products are tested and assessed in line with the relevant country regulations and guidelines. Claire’s posted its most up-to-date list of products pulled for safety concerns—including a “Metallic Hot Pink Glitter 48 Piece Makeup Set,” “Bedazzled Rainbow Heart Makeup Set,” “Rainbow Bedazzled Star Makeup Set” (basically you’ll definitely be needing an alternate bedazzled-pink-makeup-thing purveyor if you were once loyal to Claire’s)—on Wednesday.